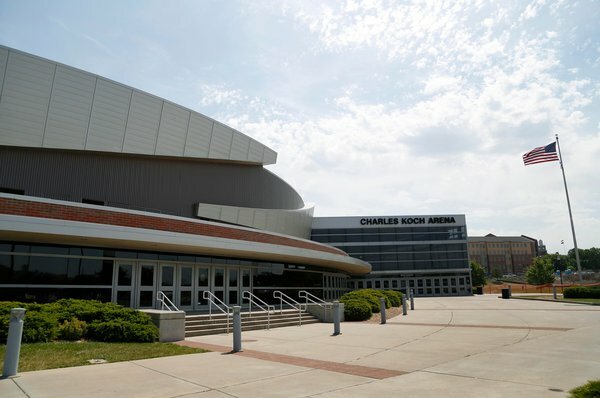 WICHITA, Kan. — In national politics, playing in Charles Koch’s arena can mean saturation advertising against vulnerable Democrats, calls for tax cuts, demands to roll back government regulation and bitter clashes over climate change. Here in the windswept hometown of the Koch family and Koch Industries, playing in Charles Koch Arena means something else entirely. Welcome to Kochville, where the family name conjures up something decidedly different from the specter raised by Democrats of secretive political operations funded by tens of millions of dollars in anonymous campaign money. For many living here in Wichita along the Arkansas River, it stands instead for well-paying jobs, extensive philanthropy like the $6 million for the arena renovation, and Kansas pride in being the headquarters of Koch Industries, the nation’s second-largest privately held company, which produces oil, fertilizer and common household items. But the charged atmosphere surrounding the Kochs elsewhere dissipates markedly in the city where their father, Fred Koch, started his business in 1925, even though the positive sentiment toward the Kochs is hardly universally shared. The Kochs’ reach in the city — once known as Cowtown because of its history as a railhead for Texas cattle drives and later called America’s Air Capital for its private aircraft manufacturing industry — extends far beyond the arena and company headquarters now expanding in the northeast corner of the city. Not far away is the Koch Community Plaza and Koch Scouting Center. 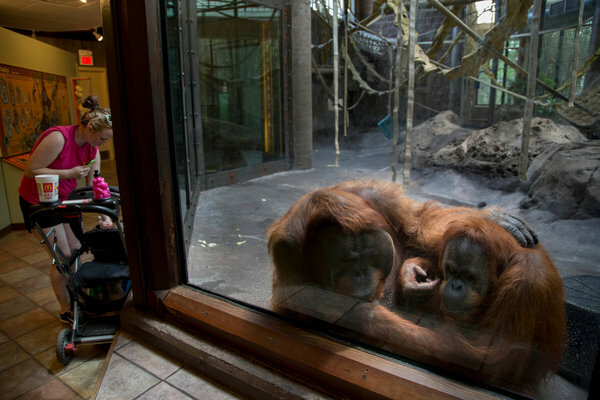 Then there is the Koch Orangutan and Chimpanzee Habitat at the robustly Koch-supported Sedgwick County Zoo. 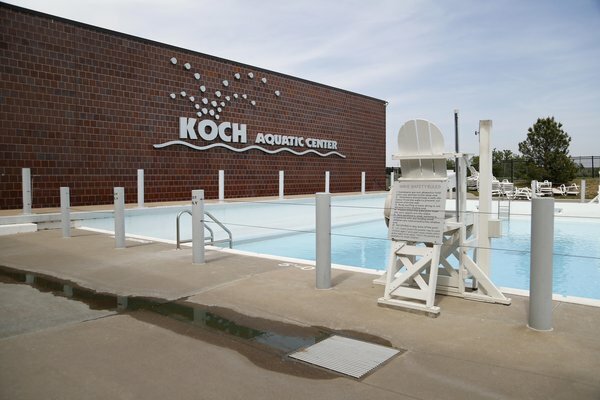 Stop off for swimming lessons at the Koch Aquatic Center at the North Branch Y.M.C.A., or a learning experience recognizing the ecological interests of Fred Koch and his wife, Mary, at the Great Plains Nature Center’s Koch Habitat Hall. The Kochs contribute generously to Big Brothers Big Sisters, the Salvation Army and smaller community endeavors. 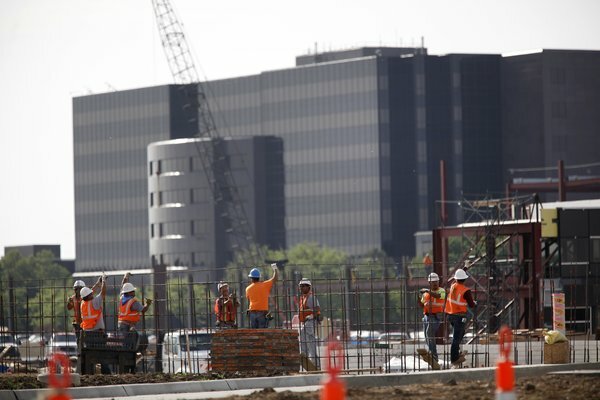 The company’s 3,500 jobs, regular employment opportunities and growth have meant steady paychecks in Wichita while other important and historic sectors of the local economy have struggled. The company estimated its direct payments in salary and benefits to Kansas workers, most of them in Wichita, at $410 million last year. 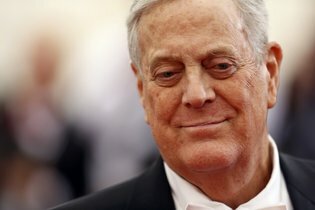 “There is almost no one in town who doesn’t have a friend, a neighbor, a relative who works out at Koch,” said Mary Beth Jarvis, a former Koch executive who oversees the organization that puts on the city’s annual river festival and the accompanying symphony concert, which has long been underwritten by the Koch family. Since 2000, organizations affiliated with the Koch family or company have given more than $50 million to Wichita and Kansas nonprofit groups, according to a company tally. Charles Koch lives in Wichita, and David lives in New York City, where he is also a donor to the arts and medicine. While such strong community support has dazzled some residents, others see the Koch activities as insidious, an attempt to buy good will while the two brothers and their political allies spend much more behind the scenes to dismantle bedrock government programs more important to the average Kansan. “That is all just bells and whistles, the shiny little things to distract you while they are proceeding to try to change our country into what they want it to be,” said Randy Mousley, president of the Wichita teachers’ union. He has clashed with Koch-backed groups and legislators over deep income and business tax cuts that reduced state aid for education and forced some districts to eliminate staff and raise property taxes. Koch officials dismiss such ideas as far-fetched. They say Koch contributions to Wichita are a way of repaying a city that has made it possible for both the Koch company and family to thrive because of its entrepreneurial spirit and available work force. Amplifying the company’s influence, many former executives such as Ms. Jarvis, schooled in the Koch way, move on from the company to play leadership roles at other organizations in and around Wichita. Koch officials, present and former, sit on boards throughout the community. “I don’t think there has been a time since ’95 that we have not had somebody from Koch Industries at an upper level on our board,” said Mark C. Reed, director of the zoo, who noted that it recently hosted the company’s annual picnic for 4,000 employees and their families. The philanthropic hand of the family was not always so visible as the Kochs used to shy away from recognition and kept their giving more low key. 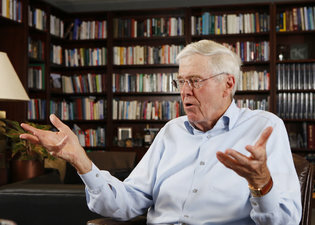 But escalating negative attention from a series of court fights and their rising conservative activism have spurred a more public role over the years, though Charles Koch only reluctantly let his name be affixed to the arena, officials said. The company last week began a national advertising campaign around the theme “We Are Koch,” emphasizing that Koch Industries was “started in the heartland” and had ample job opportunities. The expansive local footprint of the company has left Koch critics to tread lightly. Mr. Mousley said he avoided the subject of the Kochs during family gatherings since his brother and sister-in-law work for Koch Industries. Some Wichita business owners and officials said they were reluctant to discuss the company’s local reach for fear of losing business or good relations with neighbors. Even Kansas People’s Action chose to participate in a protest outside the Koch office in Washington rather than Wichita, where the company expansion and relocation of a major road (paid for entirely by the company) have pushed the public perimeter away from the office tower. Mr. Holden said the addition should enhance security around the headquarters after threats against the Kochs and their business. The company would not disclose the cost of the addition, intended to accommodate 745 employees, but the entire project is believed to have a price tag in excess of $100 million. Mr. Holden said strong emotions had been stirred against the family since it escalated its political activities, citing the 2010 midterm elections as a turning point. As for those living in Wichita, the Koch dominance distresses some. “My daughter, who just graduated from W.S.U., was telling me: ‘Mom, what’s here? The biggest thing you can aspire to do is work for the Koch brothers, and I don’t want to do that,’ ” said Sulma Arias, the executive director of Kansas People’s Action. Others cannot reconcile the image of the Kochs as a sinister political force with their impression of Charles Koch as a regular guy who shows up at Shocker games with his family and meets once a year with Mr. Marshall, the coach, for a “state of the program” discussion.